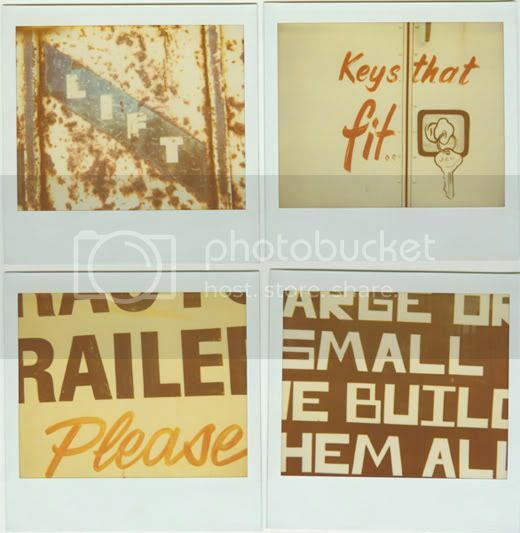 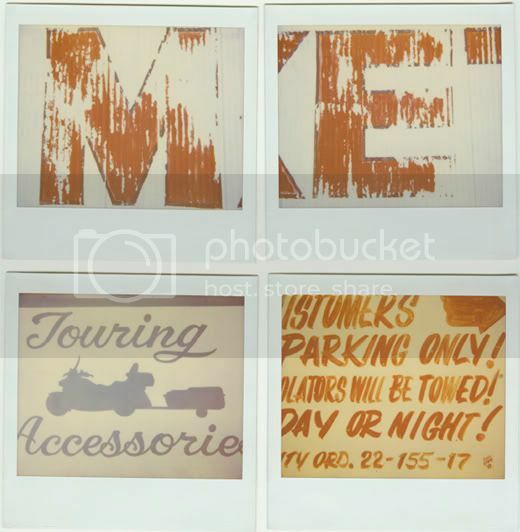 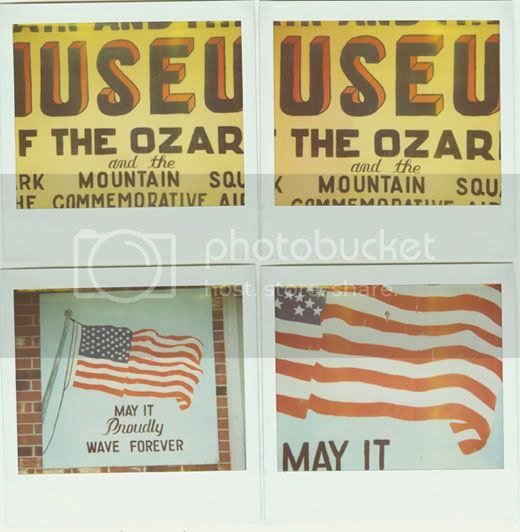 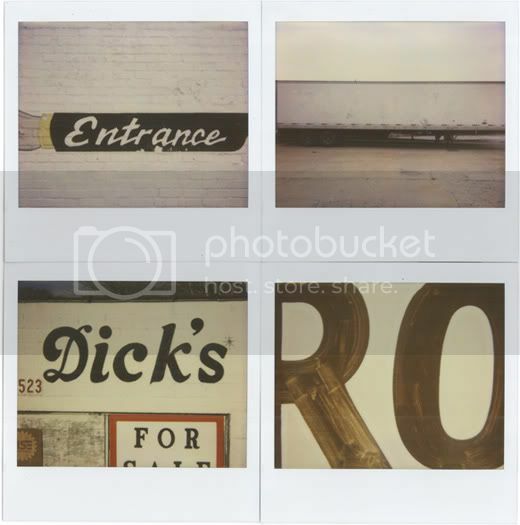 Douglas Wilson takes polaroid pictures of weird and random typography wherever he sees it. 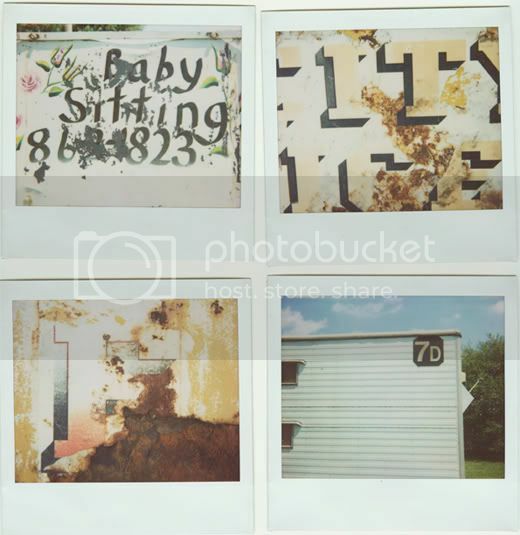 He's not the first to do this and he won't be the last, but I don't think this world will ever have enough polaroid pictures of decaying type. 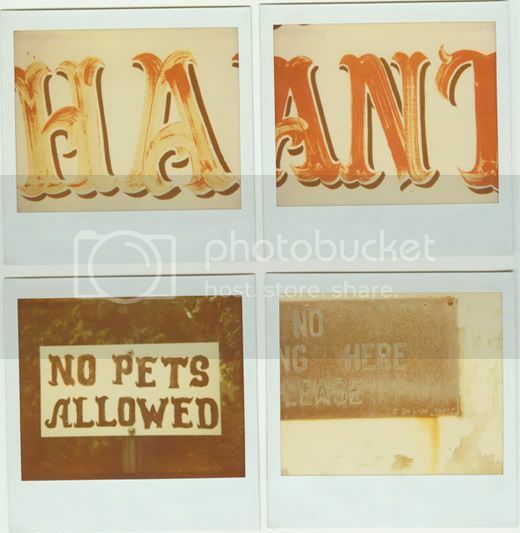 As if the naturally distressed inks and paints weren't enough to hum a somber tune to, the desaturated color of the polaroid makes it all that much more depressing and beautiful. 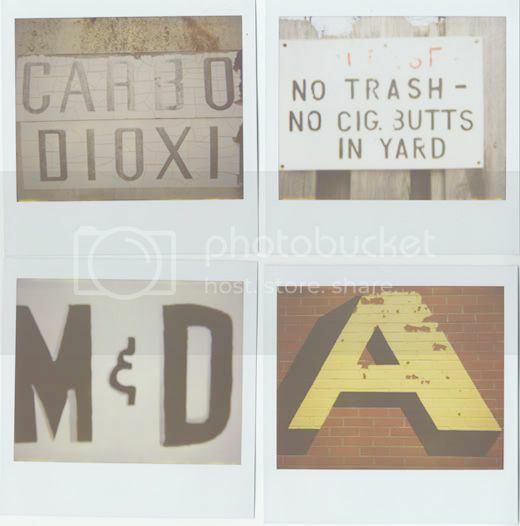 A typography study, a piece of art, a picture of an old sign, whatever, I'm a fan. 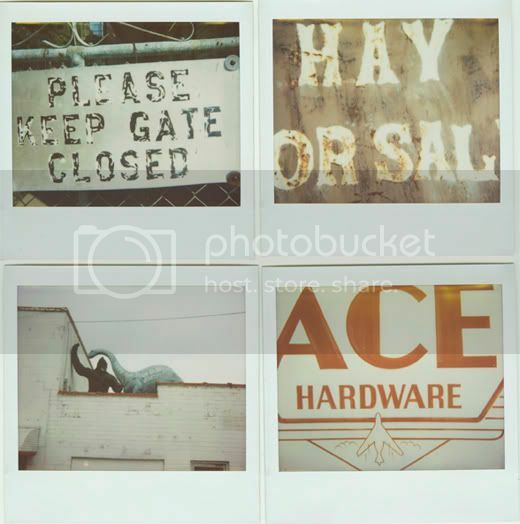 Check out his site for more.